I think that's the recommended weekend-warrior shine maintenance. Welcome aboard. ToyTec 3" kit up front, Coachbuilder 2" Shackles, TRD Rear Sway Bar, White Knuckle Off-Road Sliders, Driver Side Grab Handle, 35x12.50R18 Nitto Ridge Grapplers, Method Roost Wheels, S&B Intake, etc. - Thread for installing drivers side grab handle in Gen 3. Directions on page 2. SparksParts.com now sells the kit (see page 25). Best upgrade out there. 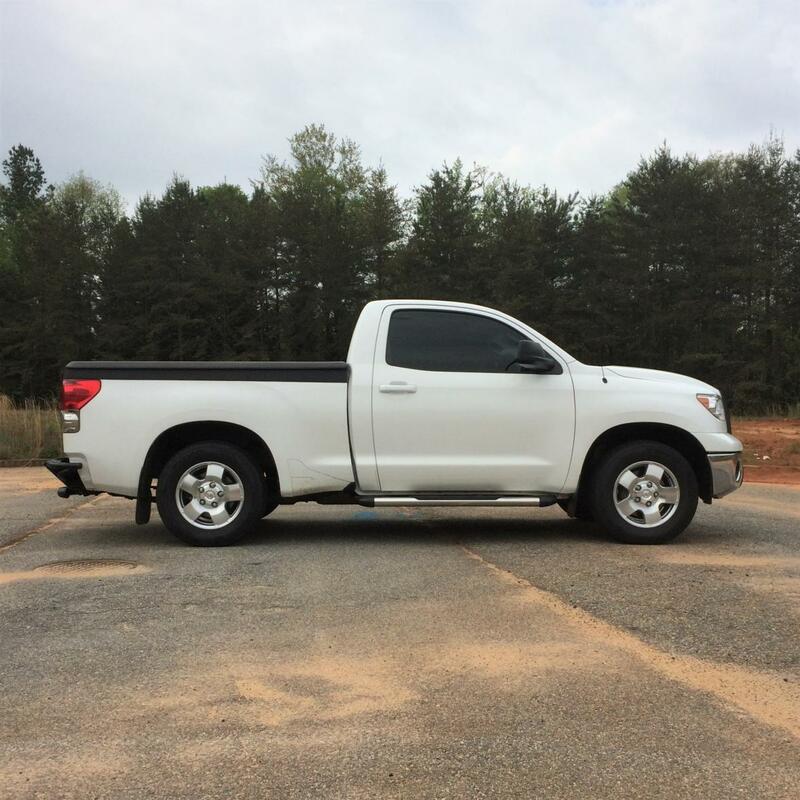 I am a two time white Tundra owner...first was an SR5 2014 2wd, pretty basic...now a 2018 TRD 4X4 Limited. It is my opinion that white trucks are just better...I have no scientific proof of this but in my heart I believe it is so. Also it is known that police cannot see white vehicles...its weird. But yea I am all in with this club! Lets go on a pie and coffee run and park all these gleaming clean white trucks side by side...you could see it from space...this is also known. Cheers!! Here's to knowing stuff. I thought I had a picture of my new whip...but I cannot find it. I will slap one up later.